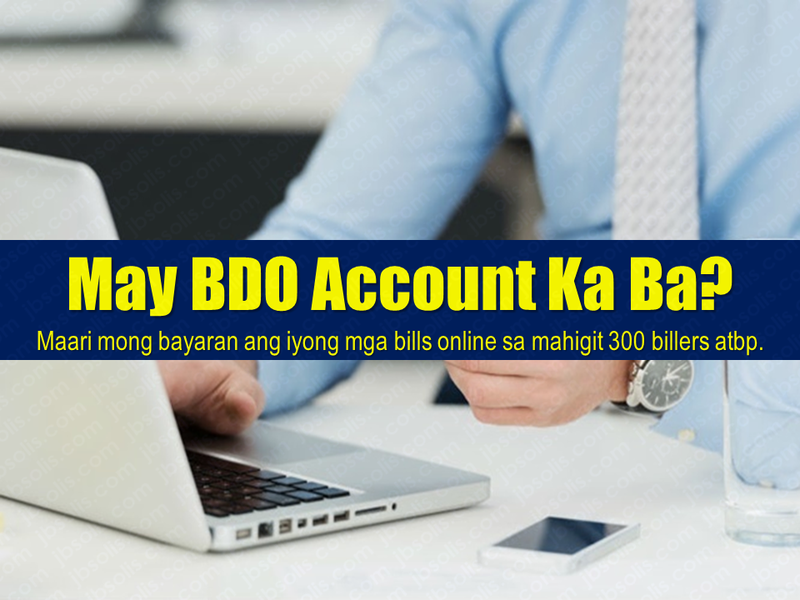 THOUGHTSKOTO Thoughtskoto : How Do You Pay Your Electric, Water, Phone And Other Bills Using BDO Online? 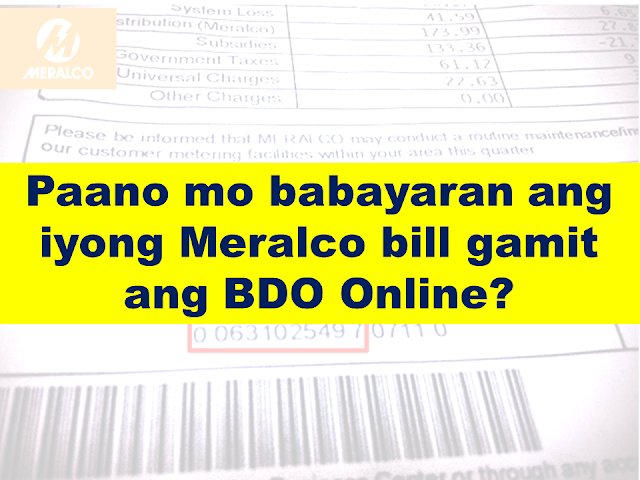 How Do You Pay Your Electric, Water, Phone And Other Bills Using BDO Online? Do you have a BDO Account? 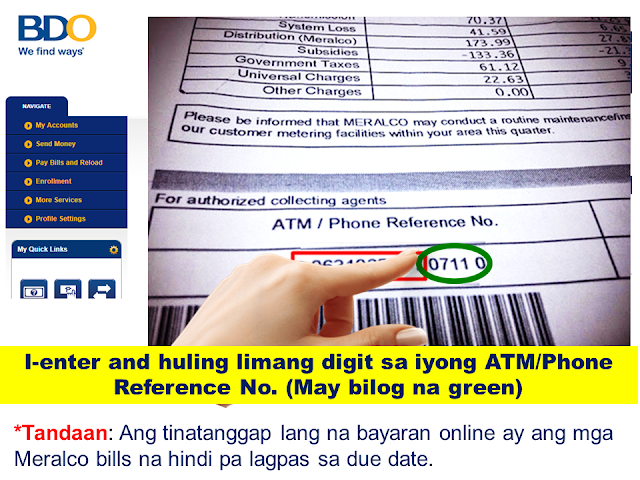 Do you know that you can use it to pay your utility bills, credit card, loan amortizations and more? 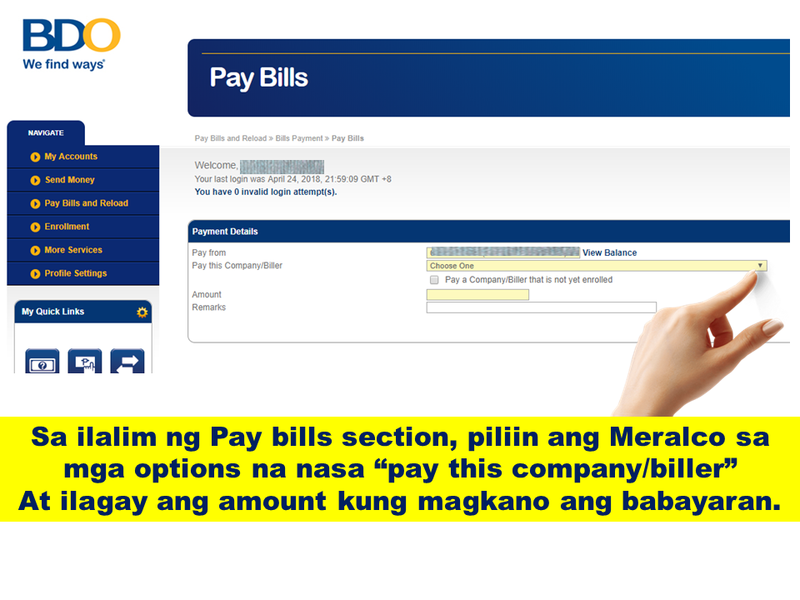 Whether you want to pay your electric, telephone or water bill, you can now do it in the convenience of your own home. All you need is a working computer or a smartphone where you can have an internet access. 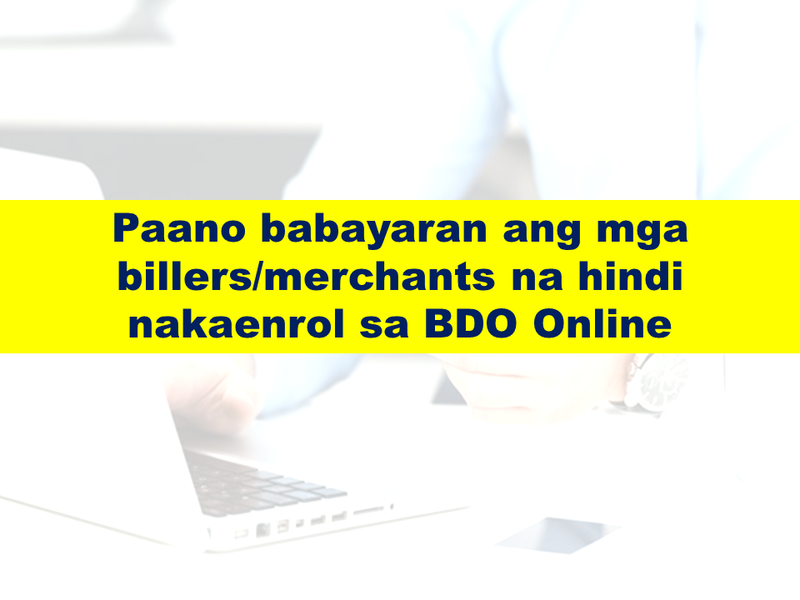 Which bills/merchants can I pay online? There are over 300 billers you can pay through BDO Online Banking. 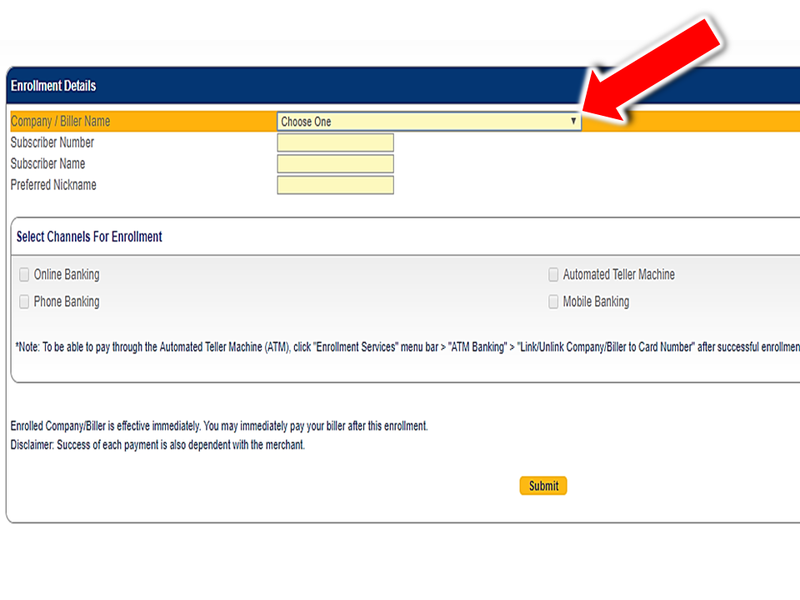 You can select from a complete list displayed in the drop-down menu located in the Bills Payment screen. The cut-off time for immediate Bills Payments is 10pm. All transactions made after the cut-off time and during weekends and holidays are subject to verification and will be considered transactions for the next banking day. How do I enroll bills/merchants online? 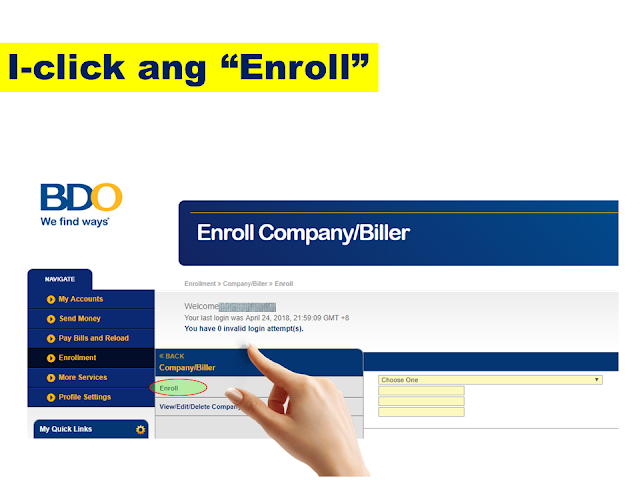 To enroll a bill, select: Enrollment Services > Company/Biller > Enroll Enter the account number indicated in the bill as the subscriber number. 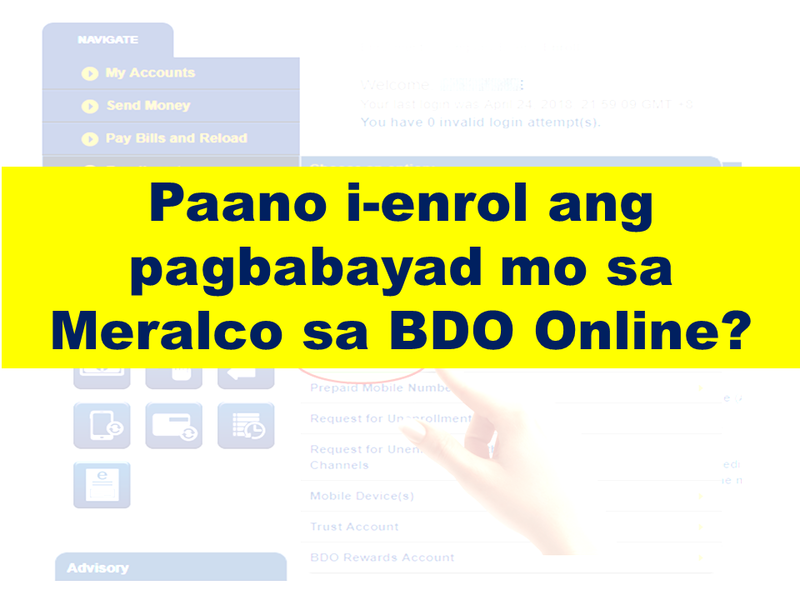 You can immediately pay your bills after enrollment. 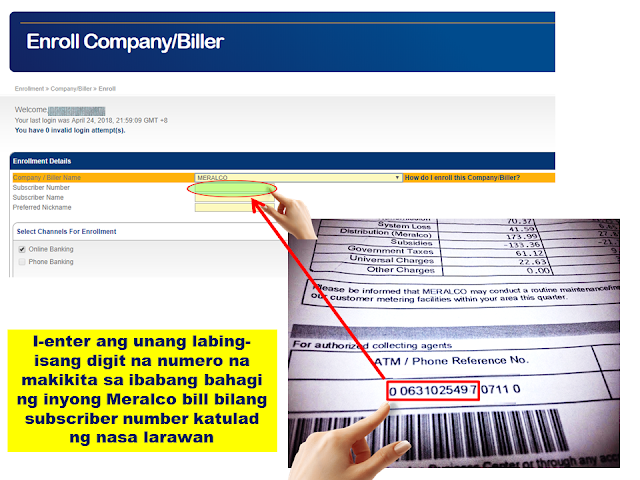 How do I enroll my Meralco bill online? Enter the first 11 digits of the ATM/Phone Reference Number as the subscriber number. This is found in the lower left portion of your billing statement. 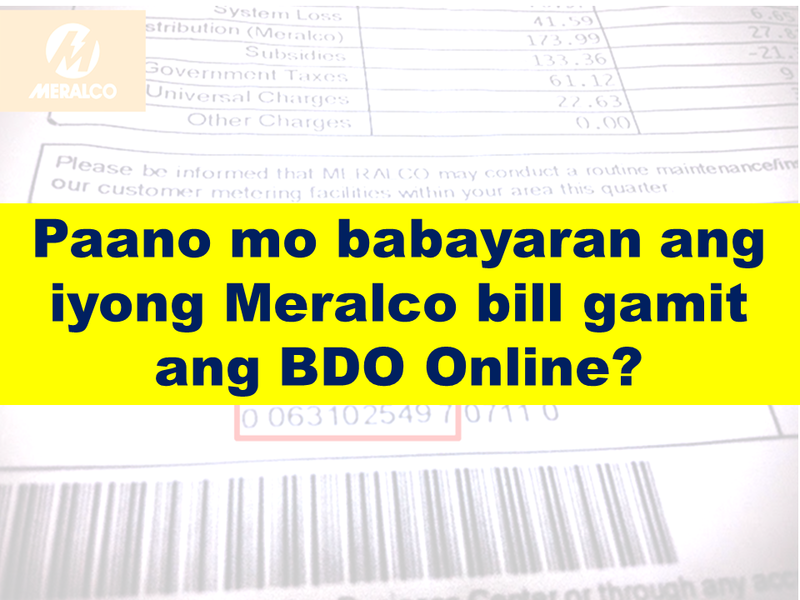 How do I pay Meralco bills? 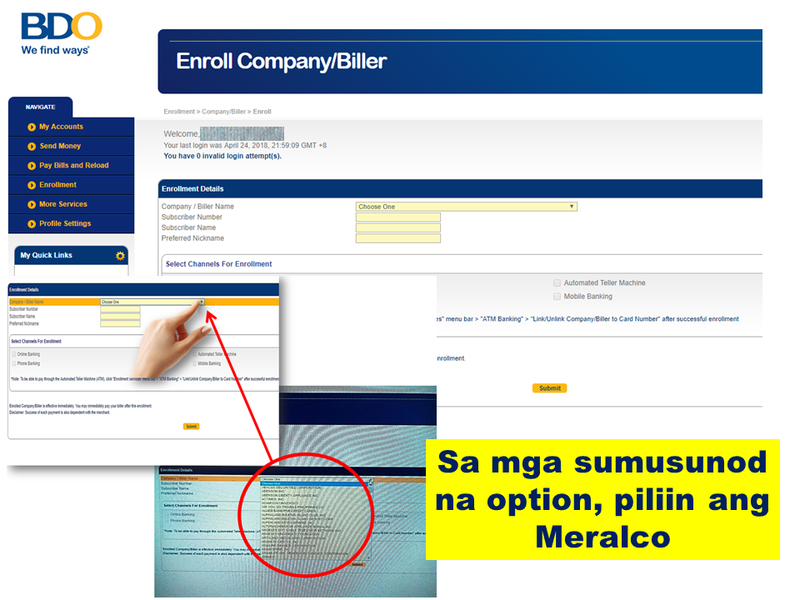 Select Meralco in the drop-down list for "Pay this company/biller". Enter the last 5 digits of the ATM/Phone Reference Number found on the lower left portion of your billing statement. Fill out the form and submit. Note: System only accepts Meralco payments on or before the due date. How do I pay billers/merchants that are not enrolled? Click on "Pay a company/biller that is not yet enrolled". Select any biller in the drop-down list after "Company/biller not requiring enrollment". Enter the account number indicated on your billing statement as the subscriber number. You may also save this biller as an enrolled biller by Clicking on "Conforme". How do I pay E-CENSUS (UNISYS) bills? 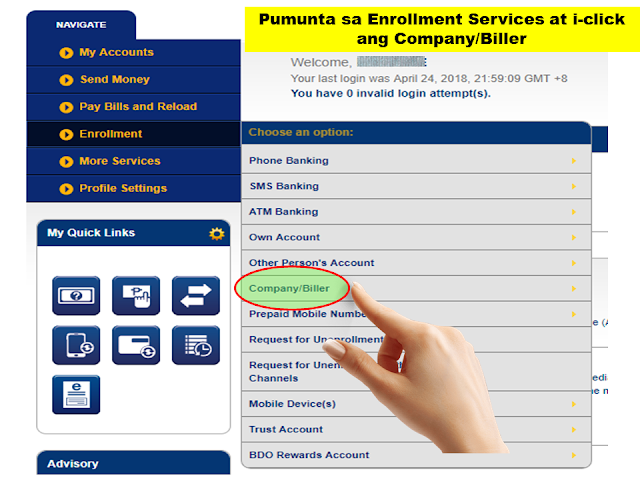 Select "E-CENSUS (UNISYS)" in your list of billers in the drop-down list for "Pay this company/biller". This biller does not require enrollment. 3.) Enter the Batch Request Number or Request Reference Number as the Subscriber No. 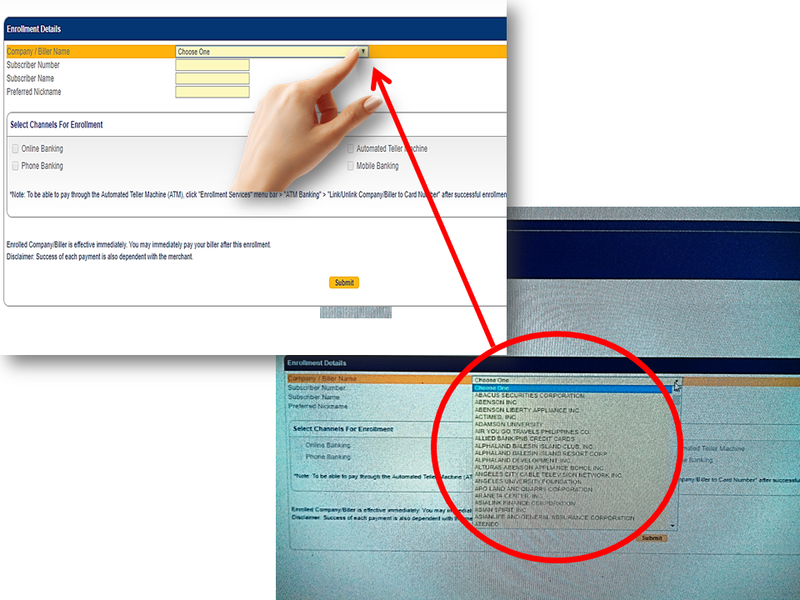 *Before confirming your payment, double-check the amount and the Subscriber Number that you entered against the e-Census document (Acknowledgement page/email/printout).